Crucifixion was the punishment that Rome reserved for the crime of sedition. 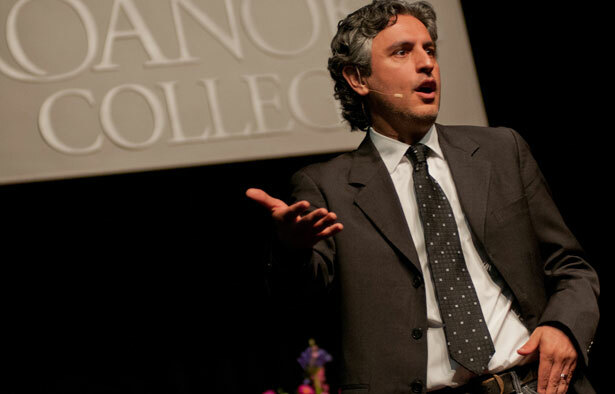 Reza Aslan is best known as the author of No God but God: The Origin, Evolution, and Future of Islam, which has been translated into thirteen languages and named by Blackwell as one of the 100 most important books of the last decade. 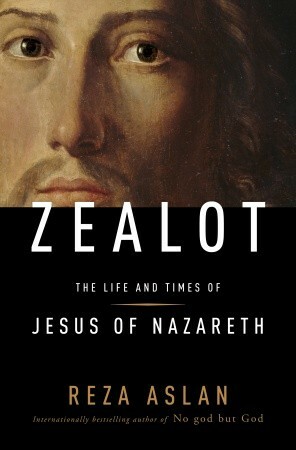 His new book is Zealot: The Life and Times of Jesus of Nazareth. Jon Wiener: Jesus on the cross provides a powerful symbol for a couple of billion people of his sacrifice for our sins. But what exactly did crucifixion mean in Roman Palestine? Reza Aslan: Crucifixion was a punishment that Rome reserved exclusively for the crime of sedition, for crimes against the state. If you know nothing else about Jesus except that his life ended on the cross at Golgotha, you know enough to understand who he was and what kind of threat he posed to Rome. Your Jesus is “the man who defied the will of the most powerful empire the world had ever known—and lost.” Sounds a bit like Bradley Manning. I think you could make a lot of comparisons in that regard. The historical Jesus took on the powers that be on behalf of the poor and the dispossessed, the outcast and the marginalized; he sacrificed himself for a group that most Romans—and the Jewish elite—didn’t consider to be real people, much less people worthy of salvation. I should disclose that I am not a Christian, I am a Jewish atheist, an old and honorable tradition. You have something in common with Jesus, because he also was not a Christian. He was a Jew. We have this vision of Jesus as a detached celestial spirit. If that was who Jesus was, he would have lived a long and happy life. He would not have been seized by the Romans, he would not have been viewed as such a threat to the stability of the state that he had to be executed. You are treating Jesus as a political figure rather than a religious one. There is no difference between politics and religion in Jesus’s time. Simply saying “I am the messiah” was a treasonable offense. If you are claiming to ring in the kingdom of God, you are also claiming to ring out the kingdom of Caesar. But what about “My kingdom is not of this world”? That is from the Gospel of John, written about ninety years after Jesus’s death, after Christianity has divorced itself from Judaism and is now a purely Roman religion. The Jesus in the Gospel of John is no longer a human being. No other gospel ever calls Jesus “God.” Everything else we know about what Jesus said about establishing the “kingdom of God”, including what’s in Matthew, Mark and Luke, is about a real kingdom to be established on earth. During Jesus’ lifetime, you show, he had lots of competition—prophets, preachers and would-be messiahs wandering through the Holy Land, all of them claiming to have messages from God. Some of them were more famous than Jesus was, and had more followers than Jesus did. How come Jesus succeeded at being recognized as the son of God, and the rest of them failed? That’s the million-dollar question. It’s not so much what Jesus himself said or did; it had more to do with what his followers said and did after he died. Once those other would-be messiahs were executed by Rome, they were by definition “false messiahs.” The mission of the messiah in first century Palestine is to recreate the kingdom of David and usher in the reign of God. If you didn’t do that, you’re not the messiah. Was Jesus a “failed messiah”? He did not re-establish the kingdom of David, so he failed. But after his death, his followers redefined the meaning of “messiah”: they talked about Jesus’s messianic functions taking place not on earth, but rather in heaven. They recast his failure as a victory—a victory that would come to fruition at the end of time, when he returned to earth. More importantly, they started to share this message not with their fellow Jews but with Romans. The concept of a god-man was quite familiar to Romans; after all Caesar was a god-man. It’s the Roman adoption of this new religion that paves the path for its becoming the largest in the world. You say the key task of the early Christians after the crucifixion was to make Jesus “less Jewish.” Please explain. Every word written about Jesus in the Gospels was written after 70 AD. What happened in 70 AD? The Romans returned after a massive Jewish revolt and destroyed Jerusalem, burned the temple to the ground, slaughtered hundreds of thousands of Jews, exiled the rest, renamed the city and made Judaism a pariah religion. The first time anybody ever bothered to write the story of Jesus is after that. Everything written about Jesus has to be understood in the context of the destruction of Jerusalem. That’s why the evangelists began proselytizing to Romans. So how do you get Romans to follow a Jew? Two things: You have to make Jesus a little less Jewish—you don’t want to tell Romans to follow a movement started by one of those Jewish revolutionaries. Secondly, you have to remove all blame for Jesus’s death from Rome. It wasn’t the Romans, it was the Jews who killed Jesus. It becomes the foundation for 2000 years of Christian anti-Semitism. The subtitle of your book is “the life and times of Jesus of Nazareth.” I thought Jesus was born in Bethlehem. You point out that Bethlehem is the city of David, and being born there is part of Jesus’s claim of godliness. Have I got that right? Absolutely not “godliness.” Kingliness! David was king. The messiah was to succeed him as king. The concept of the god-man does not exist in Judaism. It’s as simple as that. Jesus was a Jew. His religion was Judaism. His spiritual experience was grounded in the Hebrew scriptures, and the notion of a man who is divine is anathema to everything that Judaism stands for. That is why Jesus himself would not have claimed divinity. Interview has been condensed and edited; originally broadcast on KPFK 90.7 FM in Los Angeles. Does Larry Summers deserve a second chance as Obama’s chairman of the Federal Reserve?